This is Coffee nurtured like no other in the World. Coffee Beans Back IN STOCK !! Our Coffee Beans are nurtured like no other…This Jamaican Blue Mountain coffee estate is the first fully integrated single Blue Mountain coffee estate in modern-day Jamaica. We are also Jamaica’s first fully environmentally friendly 100% Jamaica Blue Mountain® coffee estate processing facility. What type of coffee plant do we grow on our estate? -We grow the “ORIGINAL” Arabica Typica Coffee Berries brought from Ethiopia hundreds of years ago. It is very expensive to grow but we grow it for its “Exceptional” taste and cup quality. 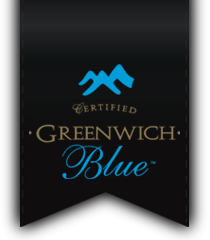 Greenwich Mountain Estate Limited has, until now, remained an exclusive Jamaican Blue Mountain Coffee family treasure. This is the Jamaican Blue Mountain coffee estate that pays true homage to the time-honoured methods once used by the Jamaican Blue Mountains’ original coffee growers. The Greenwich Mountain Estate bean, unlike any other Jamaican Blue Mountain coffee counterpart, is grown on an estate that is 100% self-sufficient. This affords us the seedling-to-cup quality control needed to ensure a bean that is nurtured like no other Jamaican Blue Mountain Coffee.